This year I nearly forgot to cover Sam’s Club turkey prices. This time of year can be a pretty busy one for food bloggers. Thanksgiving is my World Series, my Super Bowl, my Oscars. So forgive me for not getting the first one a little sooner. Still have 6 days to shop. 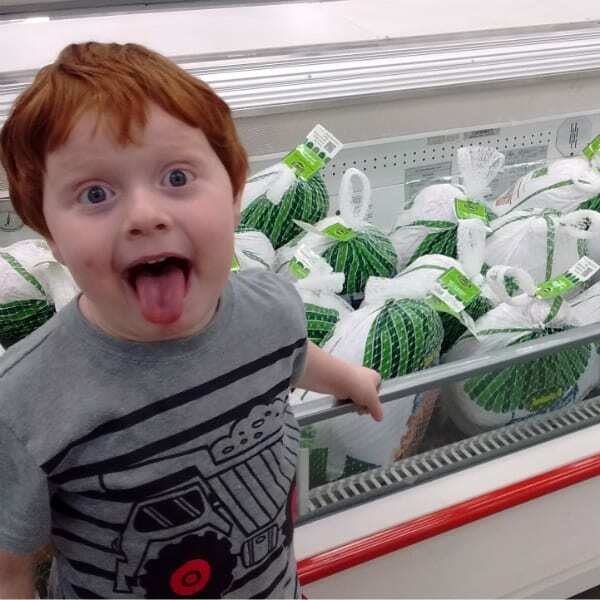 Look how excited my son is about turkeys! I arranged this post in a Q&A format based on the most frequently asked questions about turkeys at Sam’s Club. What Does a Turkey Cost at Sam’s Club? 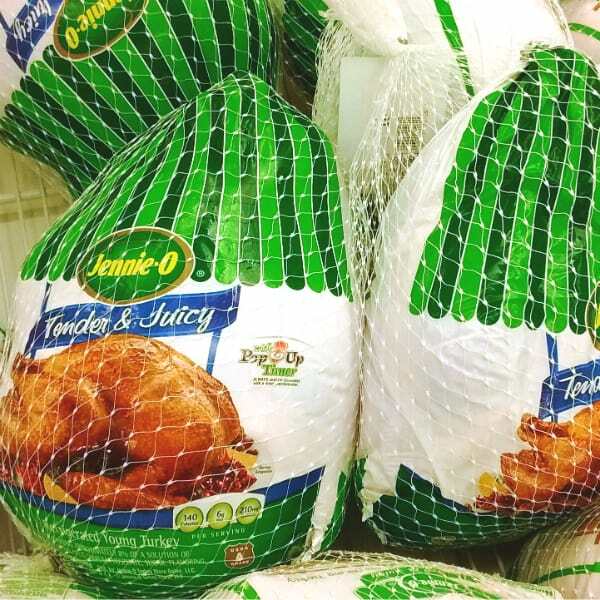 A fresh turkey goes for 99 cents a pound for a Jennie-O Turkey. They also have a Jennie-O Premium fresh turkey going for $1.99 a pound. 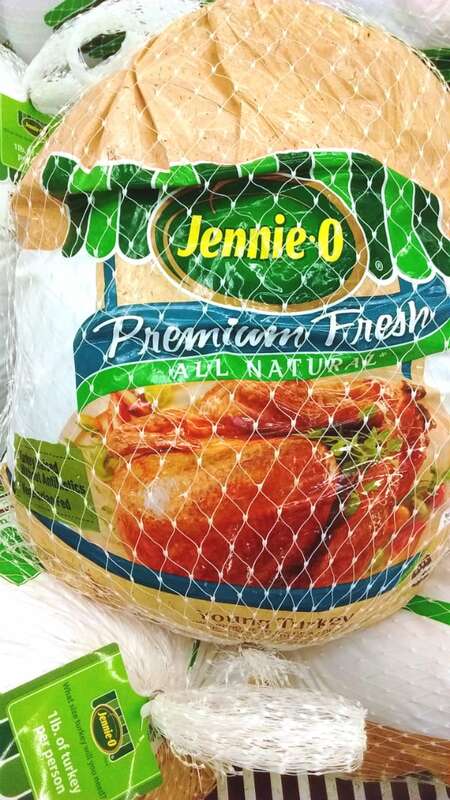 Jennie-O Premium Fresh Turkey, What makes them premium? I saw this premium turkeys this year. What makes them premium? I really don’t know. It was not clear by looking at the packaging. And premium is one of those buzzwords that doesn’t have any required meaning. Let’s look more closely at the packaging. 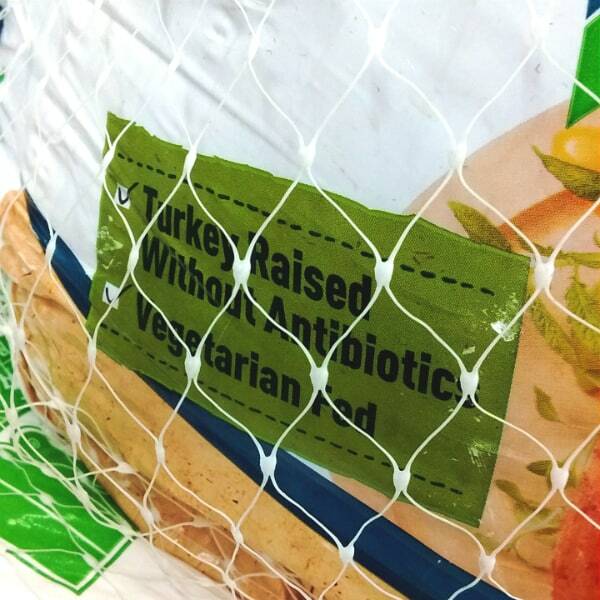 It says turkey raised without antibiotic and vegetarian fed. These turkeys were raised without antibiotics and were vegetarian fed. Is that what makes them premium? There is a lot of debate on these issues and what they really mean that I don’t have knowledge to discuss at length yet. But what I can say is that their word premium does not mean the birds were pastured raised or free range. So don’t expect that these turkeys were living the sweet life because the word premium is on the package. Are they worth the extra cost? I am skeptical. 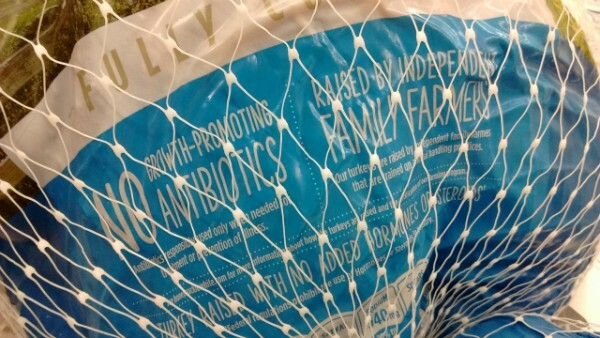 The premium turkeys also contain a solution of Turkey Broth, Salt, Sodium Phosphate, Sugar, Flavoring. What is in a Jennie-O Fresh Turkey? The regular Jennie-O fresh turkey contain the same thing, an added solution. So the turkeys don’t differ there. Seems like the older difference is saying the premium weren’t raised on antibiotics and are vegetarian fed. Sort of. They don’t have any fresh raw Butterball turkeys. 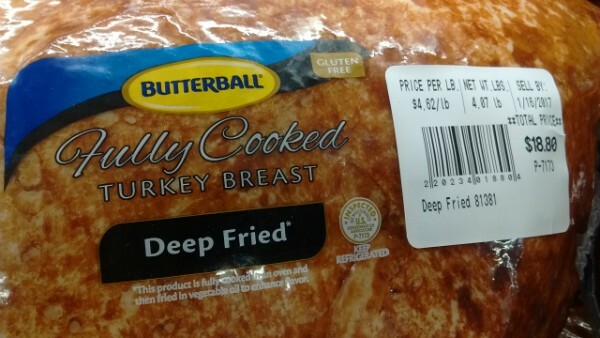 The only Butterball they were offering was already cooked Deep Fried Turkey Breast. That was going for $4.62 a pound. You just have to re-heat these turkey breasts. 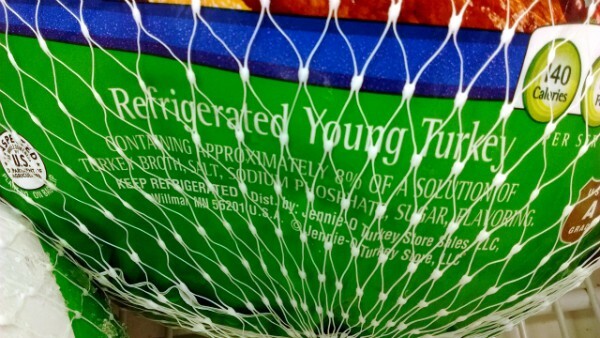 Does Sam’s Club sell frozen turkeys? I didn’t see any frozen turkeys in the store at all. Does Sam’s Club sell smoked turkeys? Yes they do. 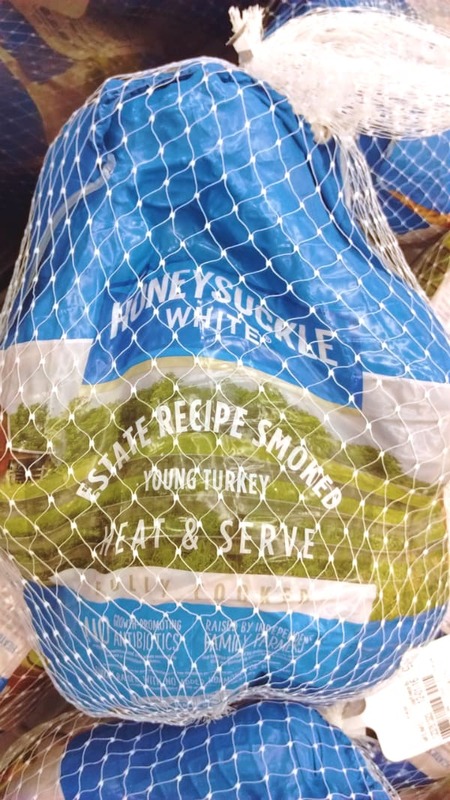 A Honeysuckle Whole Smoked Turkey goes for $2.48 a pound. The claims on the turkey. How much does an organic turkey cost at Sam’s Club? No. My Sam’s Club did not offer an organic option. Costco does though. 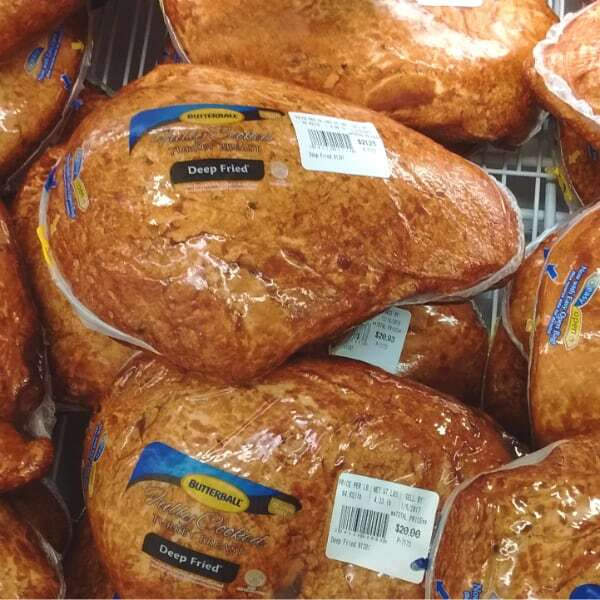 Does Sam’s Club sell brined or self-basting turkeys? Yes. The Jennie-O turkey have been already soaked in a solution. I find that these “brines” do not bring enough flavor to the turkey on their own. You still need to add more flavor.